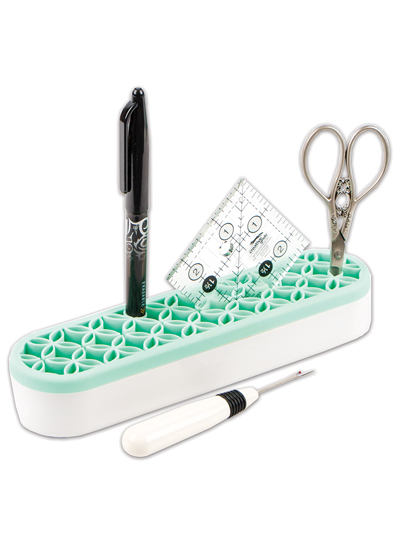 Great for organizing your sewing tools! Love it! I had a pile of crochet hooks on my craft counter, and had to rummage through them to find the right size for a project. 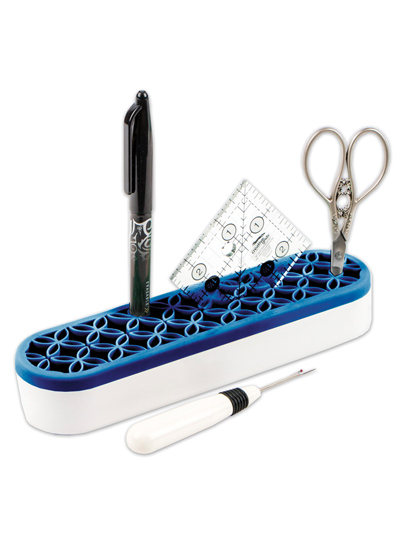 This little holder is perfect to put the crochet hooks in, with the hooks up, so the sizes are immediately visible! And, I also have my favorite craft scissors and a needle threader in it, so everything's all neat and handy! What a bargain! I received this as a gift and am using it in my rv to corral my pens and other such items. I don't have a lot of storage for small things that I like to keep handy (like a pen) so I have put a piece of sticky pad on the bottom and now it remains on my dinette table even going down a bumpy road or highway. I need to get another for my sewing stuff. I like the idea. What is the length, width, and height? Peggy - The Stash n' Store is 1.5" x 2" x 8.25â€�.